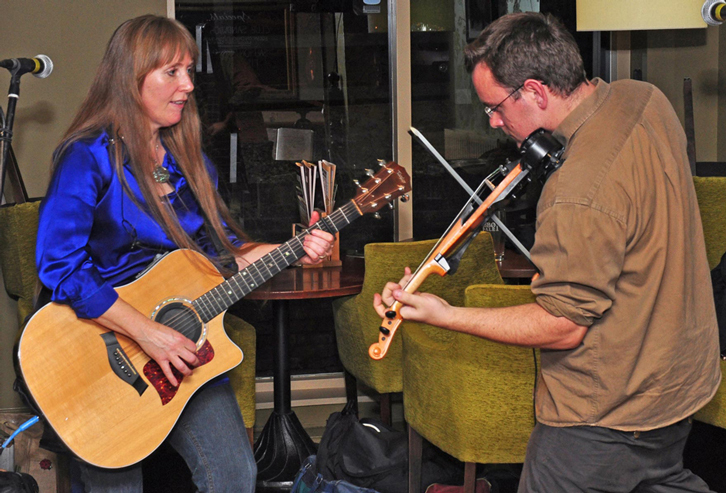 In this line up, we have Elaine Samuels’ "haunting and beautiful" vocals and expert acoustic guitar playing woven skilfully with Gavin Jones' highly trained and inspired electric violin playing. Elaine Samuels has been featured on TV and radio as well as at festivals such as Glastonbury and Guildford. Gavin Jones sings wonderful harmonies and has been classically trained to a very high level on the violin (even having had private lessons at the famous Yehudi Menhuin School). Gavin also has a flair for jazz, blues and improvisation on the violin. He puts his electric violin through an effects board to create a fantastic range of sound-scapes from delays through to rock distortions. The Kindred Spirit duo perform a powerful live set of classic pop / rock and contemporary folk (including numbers like Pink Floyd, the Levellers, Crowded House and Eagles), more recent songs (like the Corrs, Travis, Coldplay and Kaiser Chiefs), electrifying celtic jigs & reels, a great version of "The Devil Went Down To Georgia" and one or two "perceptive and intriguing" originals. You can hear some examples of their live set below. 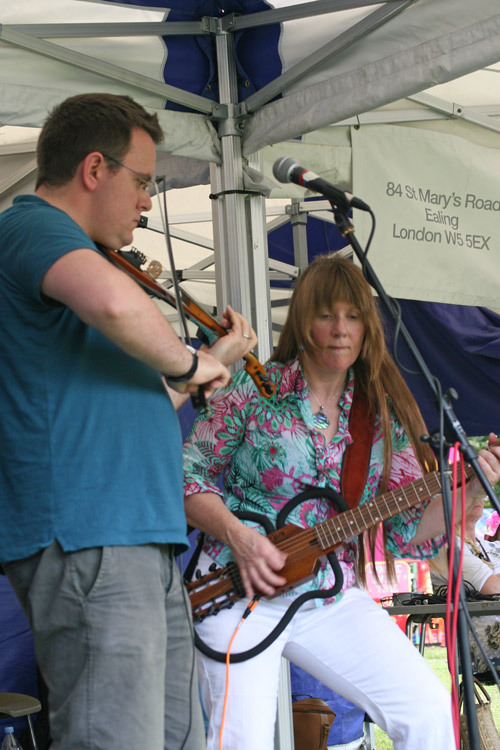 "Kindred Spirit played at Kew fete on 21st June in front of hundreds of people. Their music pulled in a great crowd as their unique style of folk rock with electric violin and guitar kept the audience rooted. As the organiser of the stage acts at Kew fete, I just hope Kindred Spirit can play next year and captivate the audience once again." Find out more about Elaine and Gavin.